Discussion in 'Troubleshooting' started by bryson bishop, Jul 7, 2016. I don't know exactly what's going on. If it's a flow problem or something like that but if anyone knows anything that would help please let me know. Any help is much appreciated. Are your tension screws that press against the filament tight ? Or maybe the extruder motor? The stepper driver for it may be going bad. I thought he meant the gears move but the filament hesitates. Can you verify the motor is working but isnt able to feed the filament ? I thought he meant the gears move but the filament hesitates. I am with you that this is probably an extruder issue. Yes that's exactly what it does. The gear moves but the filament hesitates to go through for a second. Could be a bad hobbed bolt can you take a picture of it (with the feed open and filament removed - just want to see the hobbed section). Been a long time since Robo had that issue, but they did go through some batches of bad ones. Frankly, it is more likely either a partial clog or heat creep. Make certain the fan on the extruder is running fill-tilt to avoid creep. Okay I have just noticed something before I started printing. 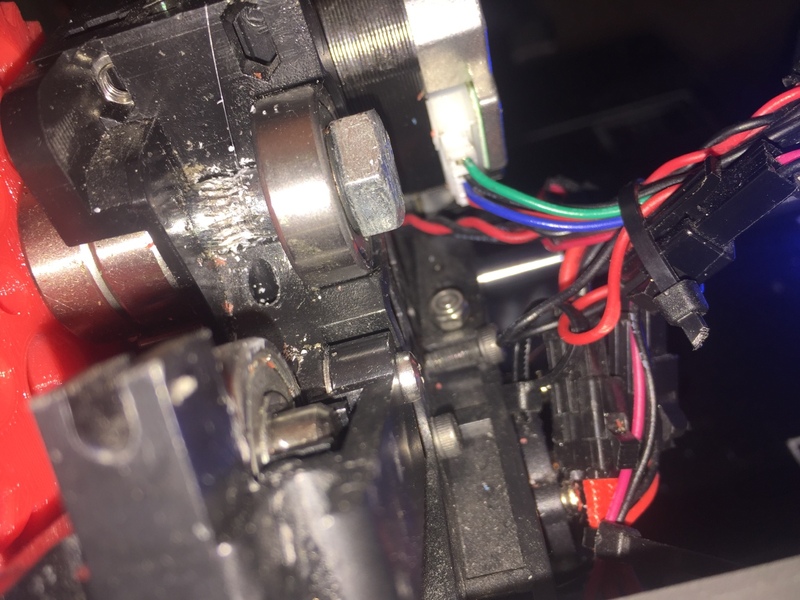 I heated up the hot end and started manually turning the Hobbed bolt gear with my and and noticed that every revolution it is like there is a part where it is like the Hobbed bolt is not catching the filament. A new hobbed bolt might be needed. I havn't had a bad hobbled bolt so I can offer any input but the ebay link provided looks like its well made. I used one from eBay myself during the original bad-batch-of-hobbed-bolts episode. Still using two of them.